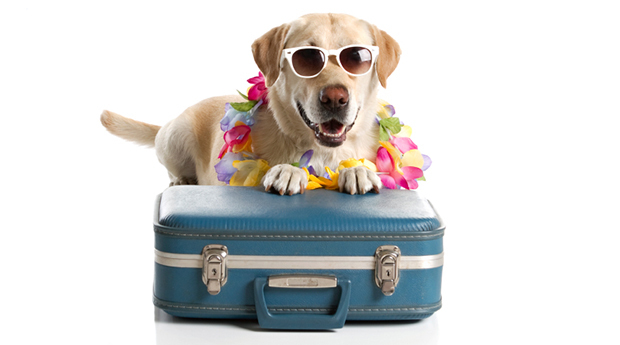 A recent study by Post Office Travel Insurance has revealed that around 1.4 million Brits will holiday in the UK this year, one of the reasons being to enable their beloved pet to accompany them. Out of the 2072 adults surveyed for the research, 79% were found to be holidaying at home in the UK this year, and 8% of those were doing so because they didn’t want to be away from their dog. As dog owners, we all understand the upset, guilt, and extra expense that can occur from leaving a pet at home while we go off on holiday. Some dogs are more seasoned to being away from their family than others, and it is a big decision for many dog owners whether to go on holiday or not at all. Taking a dog abroad for a short holiday is usually not an option due to the lengthy process of quarantine, as well as vaccinations required. Other countries are especially careful about allowing dogs to enter, in order to prevent the potential spread of disease, and rightly so. If there is not a familiar friend or family member who can take your dog in for the time you are away, then the only other option is usually boarding kennels. Some dogs are quite used to kennels and can actually enjoy their experience, not to mention the fact that the majority of boarding kennels adhere to high standards in this day and age and have your dog’s best interests at heart. Other dogs however might become stressed and not have such a great experience, and owners who are aware of this are likely to decide not to leave their pet behind. The results of the study showed that the largest proportion of people not wanting to go on holiday without their pet was the North East with 15%, closely followed by 10% in Scotland. From the study, Cornwall proved to be the number one choice for UK holidaymakers, closely followed by Scotland in second place. As well as campsites and caravan sites, there are many great options for holidaying in the UK with your dog; seek out dog friendly holiday parks, hotels, bed and breakfasts, and holiday cottages. There are lots of places who welcome holiday makers and their beloved family dogs along with them, so do a bit of research before you decide where you want to spend your holiday, you could come across the perfect place for all of you.